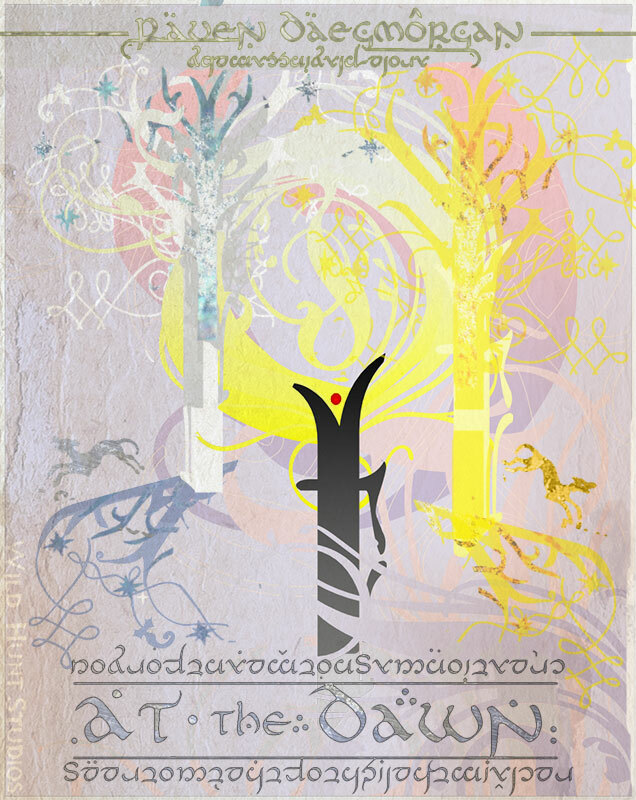 At the Dawn is the role-playing game written in homage to JRR Tolkien’s Silmarillion. In it, the players take on the roles of elves, the perfect and immortal first-born, living at the dawn of creation, facing its wonders and horrors, struggling to retain their virtue in the face of tragedy and darkness. At the Dawn is a role-playing game and art project about the Children of the First Land, of the West, who dwelt in the Halls of the Undying until the Enemy came and stole from them the Light of the Two Trees; they chased him to the East, into an as yet sleeping Creation, where they now dwell and wage war against dark armies in their quest to recover the Light. Originally written in 2004 for the Forge’s Son of Iron Game Chef contest, it has been recently rewritten and clarified. If you would like to run the game at local conventions, please get in touch with Raven to obtain a PDF copy. You can use the contact form on this website. A game (or two) of At the Dawn is also run at the Forge Midwest gaming convention, so if you attend, look for the announcement during one of the pitch sessions. As an art project, each interior page is also uniquely painted and designed before the text is integrated. If you would like to peruse examples, a couple can be found here and here.